HARARE – Opposition leader Nelson Chamisa and one of his key lieutenants, MDC national vice chairperson Tendai Biti, have called for political dialogue with President Emmerson Mnangagwa to end the country’s economic turmoil, which they say is impoverishing Zimbabweans. This comes as the economic crisis is showing no signs of letting up any time soon — which has prompted Mnangagwa and his government to unveil a number of desperate and unpopular measures to try and stem the rot. The crisis recently saw increased panic buying of goods across the country, amid fears by ordinary citizens that the local economy was slipping back to the horror 2008 hyper-inflationary era. Zimbabwe was forced into a GNU a decade ago following the disputed 2008 presidential election in which the late MDC founding leader Morgan Tsvangirai trounced former president Robert Mugabe hands down in the hotly-disputed polls. The results of those elections were withheld for six long weeks by stunned authorities — amid widespread allegations of ballot tampering and fraud which were later revealed by former bigwigs of the ruling party. Biti, who was Finance minister in the stability-inducing GNU, told the commission of inquiry that without political dialogue the country would remain trapped in conflict and economic turmoil. “The political crisis in Zimbabwe is suffocating and choking to the ordinary citizen. Elections permanently destroy us. The election should not be a reason for divisions. “Without soberness or maturity, the country shall be in economic malaise in the next four years. We are lagging behind every country in the region. We need dialogue to move our country forward,” Biti said. “In our situation, we don’t accept the results of the 2018 election. So, we will quarrel for the next five years? “Let’s visit the Constitution and see which parts need to be dealt with. Pieces of legislation like Aippa (Access to Information and Protection of Privacy Act), Posa (Public Order and Security Act) need to be reformed. “We need media reforms. We only have one broadcaster after 38 years of independence. How do we restore the social contract? We need a programme of national healing. We are a country and not a nation. We are nearly in the state of Rwanda in 1994. “Let’s have reforms that deal with State capture and the militarisation of the State. How do we get our soldiers back to the barracks?” Biti added. This comes after the camaraderie spirit which was on display in the run-up to the July 30 national elections and just before the August 1 shootings, dissipated following the killings — leaving the country deeply-divided. 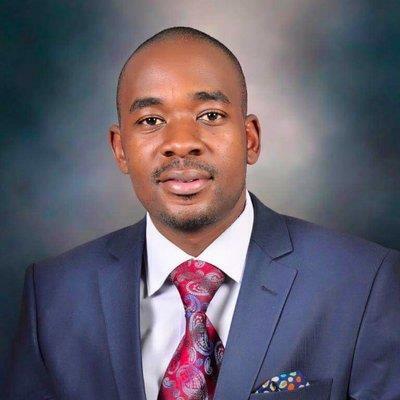 Chamisa narrowly lost to Mnangagwa in the election, before he went on to accuse the Zimbabwe Electoral Commission (Zec) of manipulating the results in favour of the Zanu PF leader. The post-election killings also cast a huge pall over Zimbabwe’s hopes of recovering from years of ruinous rule under Mugabe. The seven-member commission is led by former South African president Kgalema Motlanthe. The other members of the team are academics Lovemore Madhuku and Charity Manyeruke, Law Society of Zimbabwe (LSZ) ex-president Vimbai Nyemba, Rodney Dixon of the United Kingdom, former Tanzanian chief of the defence forces General Davis Mwamunyange and ex-Commonwealth secretary-general Chief Emeka Anyaoku of Nigeria.